Yes, the summer is here. And most of us are running for shelter! While we are busy hiding ourselves from the sunlight and screening through sunscreens, we forget how essential the same sunlight is for our lives and body. Sunlight is the direct source of Vitamin D. This is the exact reason why it is called the ‘sunshine vitamin’. There has been a startling rise in Vitamin D deficiency recently. Ask any doctor, visit any clinic or even a pharmacy; they would invariably tell you about the rise in the sale of Vitamin-D supplements. The reason – our bodies are not able to produce required amount of vitamin D for maintaining good health. The more we get used to technologies, comforts and luxuries of the modern world, the more we are getting away from the natural life. Vitamin D is an extremely essential nutrient for our well-being. It is a group of fat-soluble secosteroids which help in enhancing intestinal absorption of calcium and phosphate. 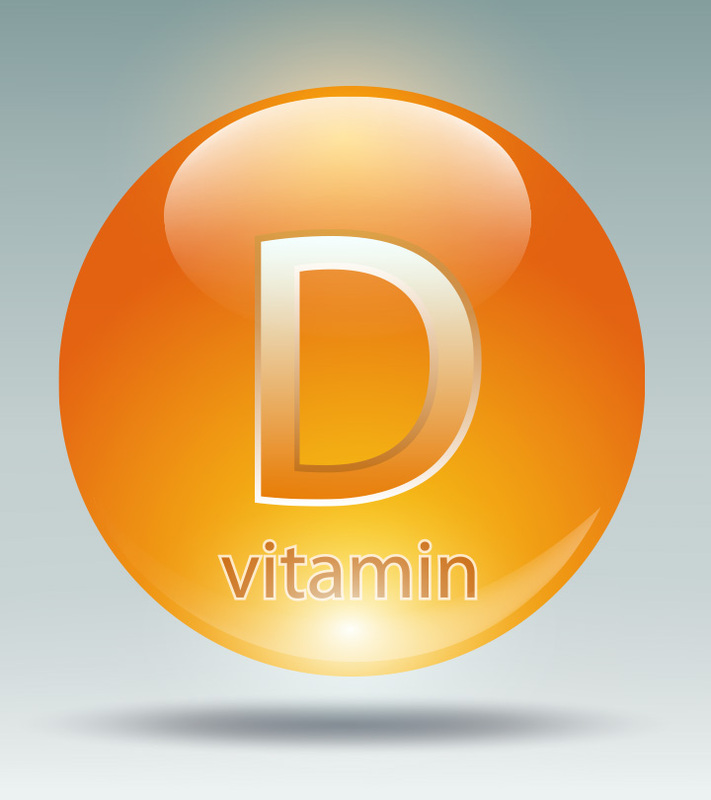 Unlike other vitamins, vitamin D cannot be obtained from food. This vitamin is prepared by our body itself when it is exposed to the sunlight. D2 also known as ergocalciferol, is obtained from fortified foods, plant foods and supplements. D3 also known as cholecalciferol, comes from fortified foods and animal foods (fish, eggs and liver). It is also made produced internally by our bodies when the skin is exposed to sunlight. How does our Body Convert Sunlight into Vitamin D? The ultraviolet B (UVB) rays in sunlight are responsible for converting cholesterol in the skin into vitamin D. For a fair skinned person, around 20 to 30 minutes of sunlight on the face and forearms in the middle of the day, 2 to 3 times a week, is sufficient to prepare enough vitamin D. Darker skinned individuals and elderly persons, however, require more exposure to sunlight for adequate amounts of vitamin D. You don’t have to do sun bathing. All your skin needs is some exposure to sunlight. Deficiency of Vitamin D has become a global concern with the people of all age brackets suffering from this problem. It has been estimated that nearly 1 billion people worldwide have inadequate levels of vitamin D in their blood. Individuals with dark skin and older individuals as well as overweight and obese people tend to have lower levels of vitamin D.
Diagnosis of a vitamin D deficiency is relatively simple. All you need to do is take a blood test to determine whether you are deficient or not. For this purpose, it is important to know about the optimal levels and deficient levels. The medical test will measure your 25(OH) D level. The Institute of Medicine has prescribed the following recommended daily allowance (RDA) of vitamin D for the individuals of different age groups. As already stated, sunlight is the major source of vitamin D and so limited exposure to sunlight is the biggest cause of vitamin D deficiency. People living indoors or those residing on Northern latitudes generally get limited sunlight and hence, are at the risk of vitamin D deficiency. Furthermore, we often talk about using sunscreen to prevent skin cancer and other damage caused by UV exposure. But few of us are aware of the dangers of not getting enough vitamin D from the sun. Using a sunscreen of SPF 30 lowers vitamin D synthesis in the skin by more than 95%! The total amount of vitamin D produced by the body also depends upon the season, time of the day, ozone amount, latitude and number of clouds in the sky. The Sun’s UVB radiation, also called the “tanning rays” trigger the skin to produce vitamin D. These rays are stronger near the equator and weaker at higher latitudes. Hence, during fall and winter, people living in higher latitude are unable to get enough vitamin D. Thus, it is advisable to have short regular exposure to the sun rather than prolonged exposures. An exposure of 10 to 15 minutes in the sunlight a couple of times a week is enough for many people to prepare adequate levels of vitamin D.
People following a strict vegetarian diet are most likely to consume inadequate levels of vitamin D. This is because most of the natural sources of this vitamin are animal-based such as fish and fish oils, egg yolks, cheese, fortified milk, dairy products and beef liver. Some studies have shown that people with darker skin are at a higher risk of vitamin D deficiency. As we all know, the pigment melanin is responsible for imparting the skin its colour. Lighter skinned-people have less melanin in comparison to dark skinned. This melanin absorbs the UV radiation from the sun, thus reducing the skin’s ability to produce vitamin D in response to sunlight exposure. People with darker skin tones have natural sun protection. They require three to five times more exposure to produce the same amount of vitamin D as their counterparts with lighter skin tones. A study done on overweight and obese people indicated that those with a BMI (body mass index) of above 40 had 18% lower serum vitamin D levels than those with a BMI under 40. This is because vitamin D is extracted from the blood by fat cells which alter its release into the circulation. It has been proved that with the progression of age, our body has a decreased ability to synthesize vitamin D from the exposure to the sun. Thus, older people are more likely to suffer from this deficiency. With the progression of age, our kidneys lose its capability of converting vitamin D into its active form, thus increasing the risk of vitamin D deficiency. Certain people suffer from malabsorption syndrome. This simply means that their digestive tract cannot absorb vitamin D adequately. Medical problems like Crohn’s disease, cystic fibrosis and celiac disease as well as medications like bariatric surgery adversely affect your intestine’s ability to absorb vitamin D from the food you eat. People suffering from chronic kidney diseases, primary hyperparathyroidism, chronic glaucoma forming disorders, and lymphomas often suffer from the loss of vitamin D. Similarly, a wide variety of medications such as antifungal medications, anticonvulsants, glucocorticoids and medications for the treatment of AIDS/HIV can stimulate the breakdown of vitamin D, thereby leading to lower levels of vitamin D in the body. Pregnant or breast-feeding mothers require more vitamin D than others. Moreover, there is a greater likelihood of vitamin D deficiency in women who have had several babies with short gaps between pregnancies. This is because the body’s store of vitamin D gets used up during pregnancy and it requires time to be built up before another pregnancy. Here are the tale-tell signs of whether you are vitamin D deficient or not? Bone pain and muscle weaknesses are the most common symptoms of vitamin D deficiency. However some people experience no symptoms at all. Some other symptoms associated with low levels of vitamin D include the following. Children with vitamin D deficiency are at a risk of getting muscle spasms, seizures and other breathing difficulties. This is largely due to consequent lower levels of calcium. Children with a high deficiency of vitamin D can have soft skull or leg bones. This can cause the legs to look curved. They also experience bone pain, muscle pain or muscle weakness. The growth of height in children is adversely affected by vitamin D’s deficiency. Children suffering from this deficiency are reluctant to start walking too. Irritability with no reason is another symptom of vitamin D deficiency in children and babies. Vitamin D deficient-children get their teething delayed. The deficiency adversely affects the development of milk teeth, which in turn delays teething. Adults with the deficiency feel a lot of tiredness, vague aches and pains – together all causing a general sense being unwell. Some adults also experience cognitive impairment due to the deficiency. Bones also feel around painful to moderate pressure. This is mostly noticeable in the ribs or shin bones. In few rare cases, adults also experience hairline fracture in the bone causing tenderness and pain. They also feel bone pain in the lower back, hips, pelvis, thighs and feet. Though vitamin D is not an essential dietary vitamin in the strict sense, certain amount of this vitamin is vital for overall good health, particularly healthy bones and muscles. Deficiency of vitamin D can cause the following health problems. Low level of vitamin D is associated with higher risk of developing type 2 diabetes. Research has indicated that those with blood vitamin D levels of more than 25 ng/ml had 43% reduced risk of developing type 2 diabetes in comparison to those with levels under 14 ng/ml. In ancient times, when antibiotics were not available, sunlight and sun lamps were a part of the standard treatment for tuberculosis. Several studies have also proved that people diagnosed with tuberculosis had lower levels of vitamin D than others. Thus, deficiency of sunshine vitamin can lead to increased risk of developing tuberculosis. As stated earlier, vitamin D facilitates the absorption of calcium. Severe deficiency of vitamin D can lead to rickets – a childhood disease characterized by low levels of calcium in the blood. It causes impeded growth, soft and weak bones, deformity of the long bones that bend and bow under their weight when the children start to walk. It can lead to muscle spasms (cramps), seizures, and breathing difficulties too. A study published in the Cambridge Journals indicated that D vitamin deficiency increases the risk of respiratory diseases and adequate intake of this vitamin reduces the risk of respiratory infections in children. Adults with low vitamin D levels are at an increased risk of cough, cold or upper respiratory tract infection. Extremely severe deficiency of vitamin D is known as ostamalacia. This is often characterized by softening of bones, leading to bending of spines, bowing of the legs, bone fragility, muscle weakness and increased risk of fractures. People suffering from this problem often have difficulty in climbing stairs or getting up from the floor or a low chair, causing them to walk with a waddling pattern. Vitamin D deficiency is associated with congestive heart failure too. A research conducted at Harvard University indicated that women with low levels of vitamin D had a 67% increased risk of developing hypertension. Vitamin D is involved in several brain processes. Hence, deficiency of this vitamin is associated with depression. In a recent study, it was observed that vitamin D supplementation among pregnant women and children helped to satisfy vitamin D receptor in the brain. This is integral for brain development and mental maintenance in later life. 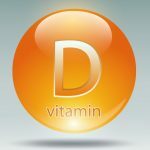 Research has indicated that there is a direct connection between high vitamin D intake and lower risk of breast cancer. Low level of vitamin D is associated with increased risk of some cancers and worse outcomes in other cancers. Low levels of vitamin D can cause this chronic gum disease characterized by swelling and bleeding gums. This is because adequate vitamin D levels produce defensins and cathelicidin – the compounds that contain microbial properties and lower the number of bacteria in the mouth. Research has proved that vitamin D deficiency is also associated with a higher risk of psoriasis. Vitamin D deficiency should not be taken lightly as it can lead to several health issues already discussed above. The best way to prevent this deficiency is to get enough sunlight. 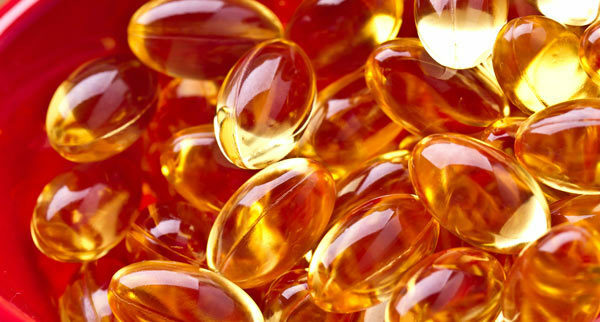 Vitamin D can also be taken in the form of supplements. Some of the ways to cure this deficiency are as follows. Exposure to sunlight is a natural and cost-effective way of treating vitamin D deficiency. Vitamin D is naturally produced by our bodies on the exposure to sunlight. So it is advisable that we get the recommended daily amount of sunlight. Unlike other vitamins, vitamin D is not abundantly found in food items. 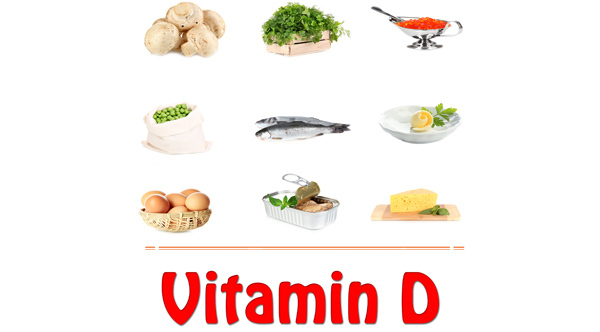 However, certain foods do contain vitamin D in small amounts which include the following. A small injection of vitamin D lasts for 6 months and is a safe and convenient alternative. This is particularly good for those who do not wish to take medicines orally. Certain tablets and liquids containing high doses of vitamin D are also available and can be taken daily, weekly or monthly. Their main advantage is that they can cure the deficiency quickly, particularly in growing children. However, it is advisable to always consult your physician to understand the instructions properly. High dose supplements need to be taken correctly and timely. These are generally taken daily for about 12 months to make up for the deficiency. 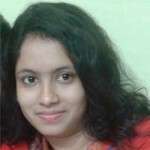 They are generally slow in replacing vitamin D and hence, suitable for treating mild deficiency or prevention purposes. Even after the body’s stores of vitamin D have been replenished, maintenance treatment is often needed on long-term basis to prevent further deficiency in future. Now that you know the importance of Vitamin sunshine in your life, make sure you get enough of it. Always be proactive and make vitamin D is a good part of your health regimen. After all, a little bit of sunshine is all that we need!